We Work With Porcelain, Swarovski, Resin, Ceramic, Pottery. As an experienced restoration artist, I understand the value of your articles. Restorations by Patricia in Nutley, New Jersey, will repair or restore your priceless and sentimental treasures such as collectible art repair and restorations, antiques, pottery and much more. Classes Are Now Available Now! Antiques, collectibles, and treasured keepsakes that are chipped, missing pieces, are broken, or simply have lost their luster over the years are my specialties. Wherever possible, the materials from which the items were constructed, are used. Restorations by Patricia has been in business for 15 years. 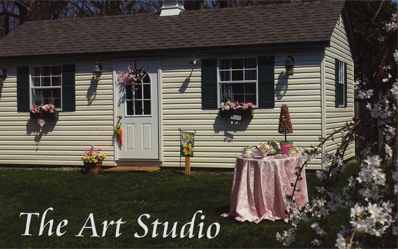 All repairs are done in my studio, which is located in Nutley, New Jersey. Your complete satisfaction is important to me and therefore each article is carefully given the detailed attention you would expect. Therefore, before beginning any restoration, a consultation with you is required. 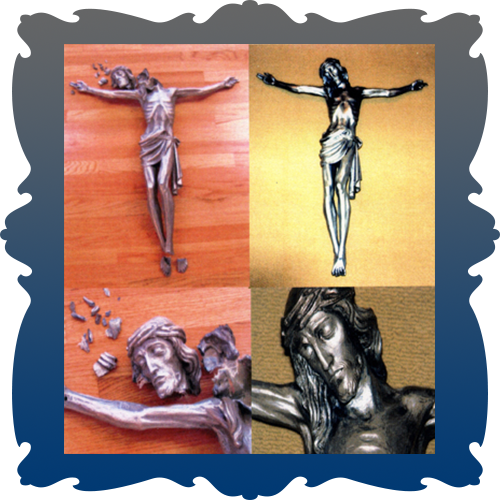 Restorations by Patricia is a Collectible Art Restoration/Repair Service, providing Restore/Fix Services including: Broken & Chipped Pottery, Statues, Figurines, Hummel, Swarvoski Crystal, & Porcelain. We also carry an Art Cleaner that you can purchase. Located in Nutley New Jersey. Thank you for visiting my website. Please fill out the following form to request information about our products and services or to provide feedback about our site. When you are finished, click the 'Submit' button to send us your message. You will see a confirmation below.